Farmingville is a hamlet and census-designated place located in Suffolk County, Long Island, New York. It is within the Town of Brookhaven. As of the 2010 census, there were 15,481 people, 4,834 households and 4,370 families residing in the CDP. The median income for a household in the CDP was $91,006 and the median income for a family was $92,517. Males had a median income of $67,517 and only $42,913 for females. The latitude of Farmingville is 40.831N. The longitude is -73.03W. It is in the Eastern Standard time zone. Elevation is 105 feet. A sign welcomes visitors and residents to Farmingville, a hamlet in Suffolk County. 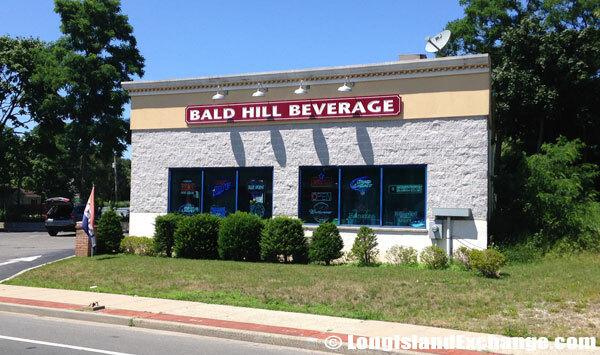 Bald Hill Beverage beer distributor. 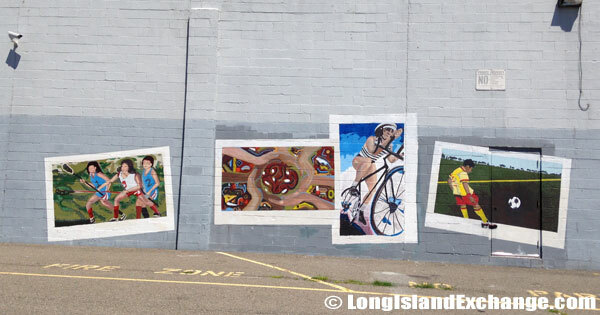 The back or side wall of Soccer Station, one of Long Island’s largest soccer equipment sources since 1997 . 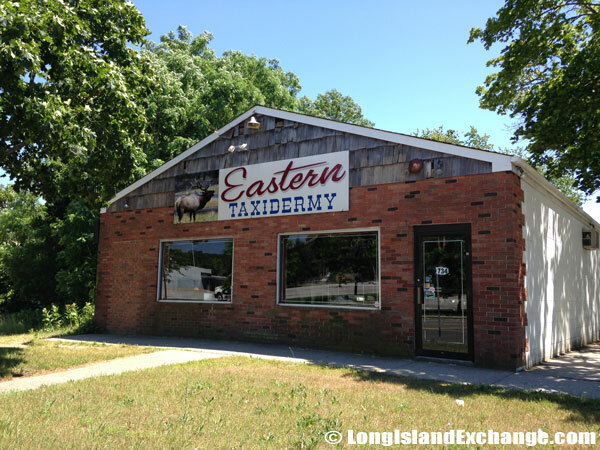 Eastern Taxidermy, 734 Horse Block Road. In the late 1990s, there were a total of 1,500 Hispanic workers who moved into the town of Farmingville crossing the border from Mexico to do work here on Long Island; rising tensions with the population; charges and counter-charges of lawlessness and racism; protest marches, unity rallies, and Internet campaigns with cruel hate crimes tore the community apart. 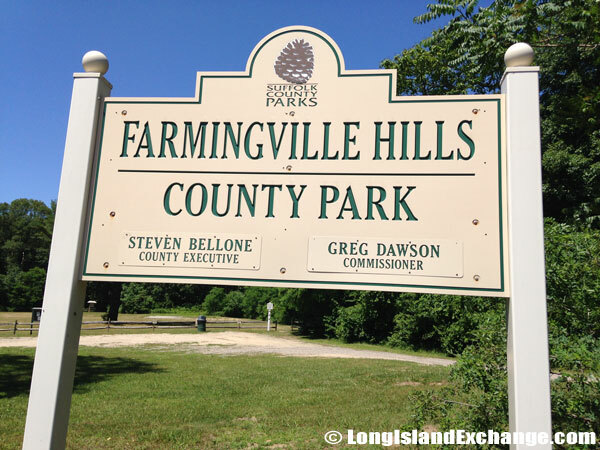 Farmingville Hills Park, over 100 acres of park lands managed by the Suffolk County Parks and Recreation Department. 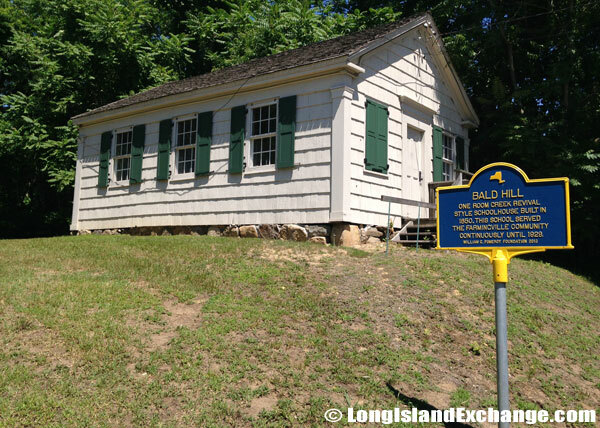 Bald Hill Schoolhouse, a historic one-room school building built in 1850 measures approximately 18 feet by 28 feet. It closed for classroom instruction in 1929 and was added to the National Register of Historic Places in 1988. The Schoolhouse is located on the grounds of Farmingville Hills Park and is owned by the Farmingville Hills Historical Society. 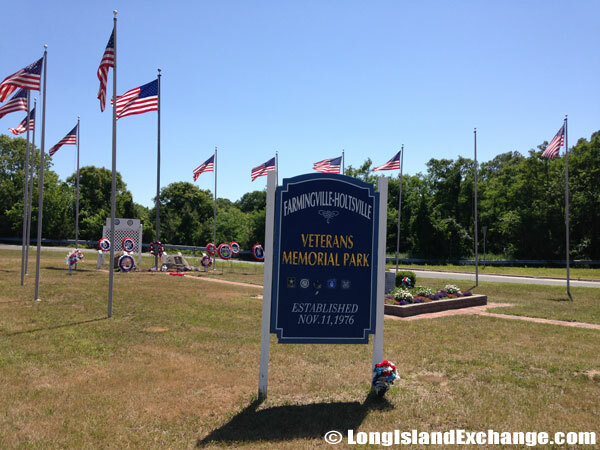 Farmingville-Holtsville Veterans Memorial Park on Horseblock Road. 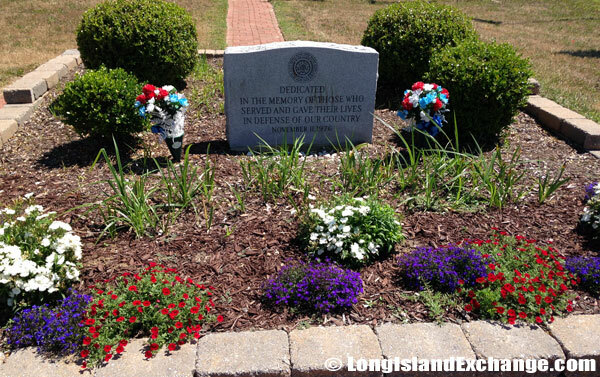 Dedicated in 1976 to the memory of those who served and gave their lives in defense of our country. 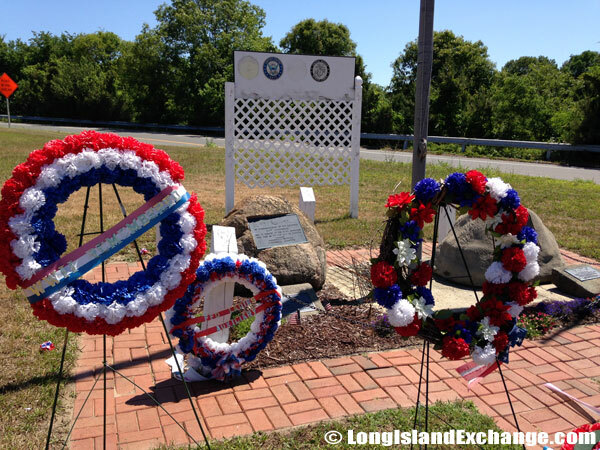 Patriotic flower wreaths of red, white and blue flowers grace the memorial area at the Farmingville-Holtsville Veterans Memorial Park on Horseblock Road. A 2004 documentary film simply called ‘Farmingville’ examined an attempted murder of two immigrants from this time detailing the struggles of the community. The area received national attention for anti-immigration sentiments. The Farmingville Campaign helps demographically changing communities build bridges between long-term suburban residents and newly arrived immigrant populations especially undocumented Latinos. 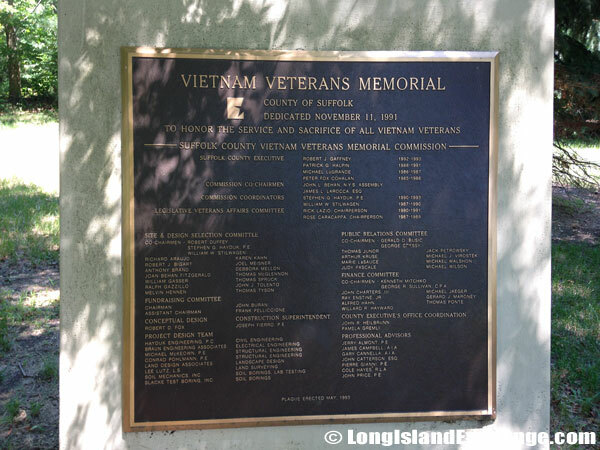 Suffolk County Vietnam Veterans Memorial Park, offers a spectacular view for miles in all directions. This sign stands in the large parking area which exists for the convenience of visitors. 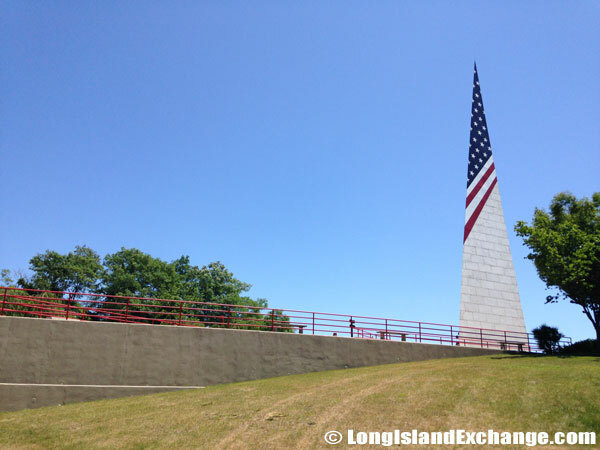 Suffolk County Vietnam Veterans Memorial Park, situated on top of Bald Hill, one of the highest points of Long Island, is home to the sharply sloping pyramid monument painted in the colors of the flag. 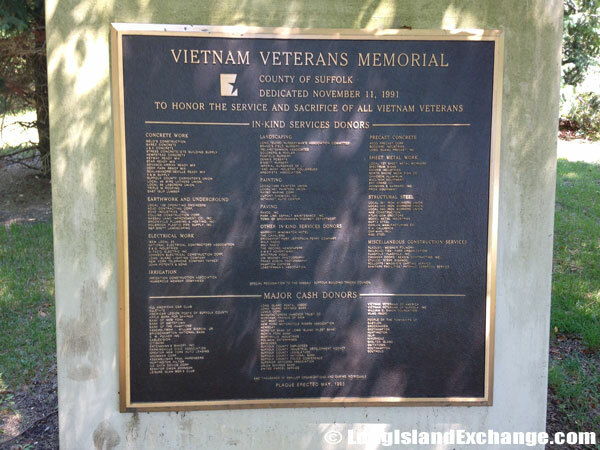 The monument was constructed in 1991 to acknowledge the service and sacrifice of all Vietnam Veterans. 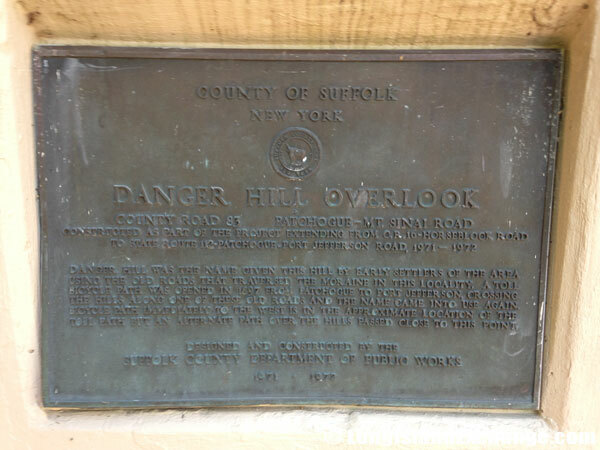 A sign marks Danger Hill Overlook. Danger Hill was the name given this hill by early settlers of the area using the old roads that traversed to marine in this locality. 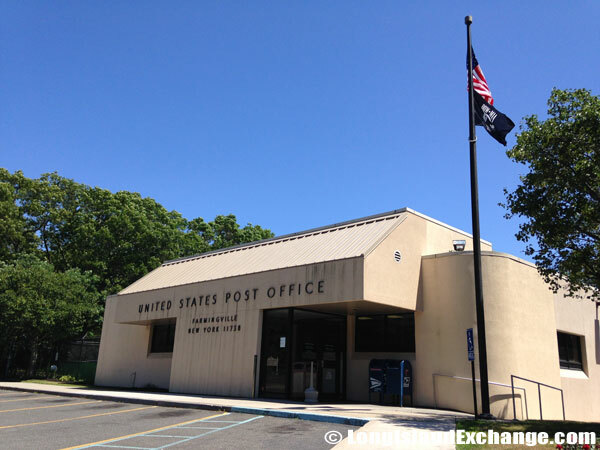 A toll bicycle path was opened in 1897 from Patchogue to Port Jefferson crossing the hills along one of these old roads and the name came into use again. Bicycle Path immediately to the west is in the approximate location of the toll path but an alternate path over the hills passed close to this point. 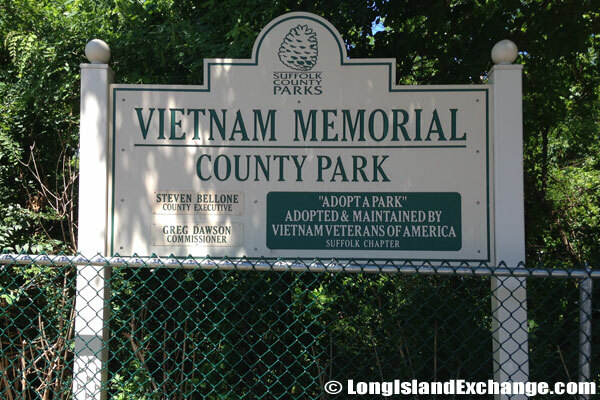 The Vietnam Veterans Memorial was dedicated on November 11, 1991 by the Suffolk County Vietnam Veterans Memorial Commission. The Vietnam Veterans Memorial was dedicated on November 11, 1991 to honor the service and sacrifice of all Vietnam Veterans. Aside from the controversies and enthralling tale of Farmingville, many people find the area a great place to live for its low crime rates. As of the 2010 census, 83.2% of Farmingville residents are White, 10.3% Hispanic or Latino, 2.5% Black or African American and 2.2% Asian. The Town of Brookhaven Tourism Commission is established in Farmingville. It develops Brookhaven Town’s full Tourism prospective in general and provides detailed and comprehensive information to visitors. The Church of the Resurrection. 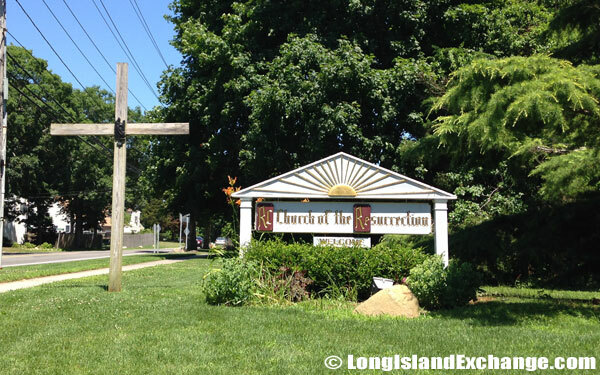 A sign and cross welcomes visitors, members and residents to the Church of the Resurrection. 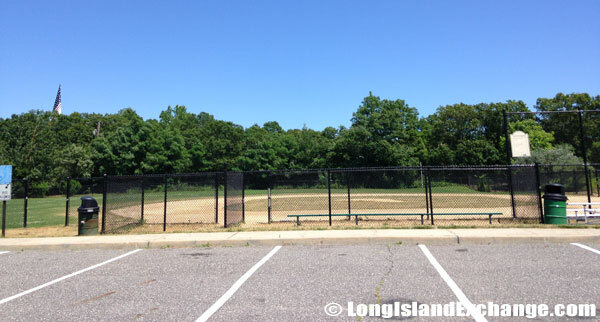 The Rose Caracappa Memorial Park little league park field. Rose Caracappa Memorial Park little league park. 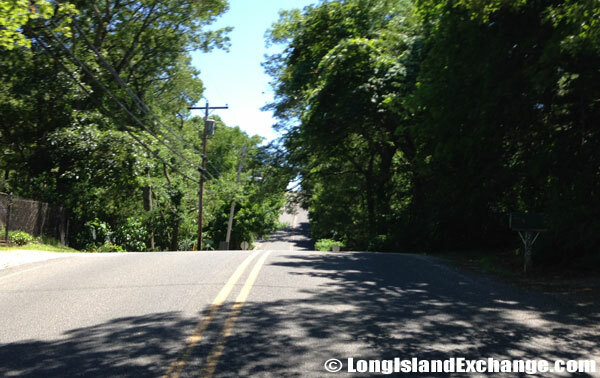 As one of the highest areas on Long Island, many of Farmingville’s neighborhood roads are steep and mountainous. 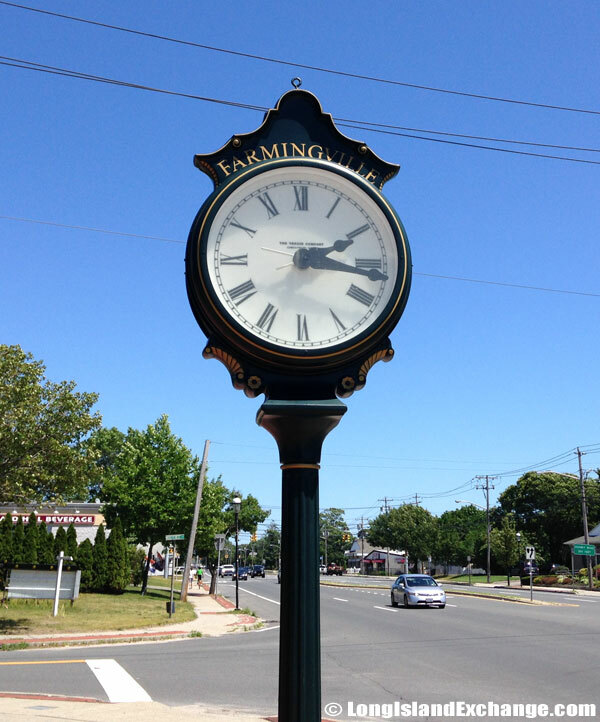 Farmingville has 3 Public Schools and 1 Private school with 3 Elementary Schools and a High School. 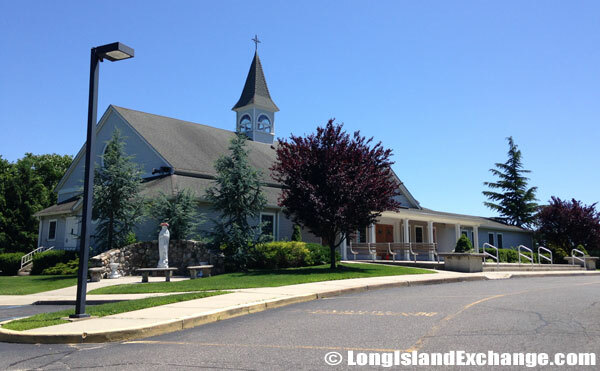 Sachem Central School District is one of the largest school districts on Long Island serving the residents in Farmingville including Holtsville and Holbrook as well as some areas of Lake Ronkonkoma, Lake Grove, Nesconset, and Ronkonkoma. The Tecumseh Elementary School and Lynwood Ave School are considered top-rated public schools in town. An old style two face clock stands in the cities center. 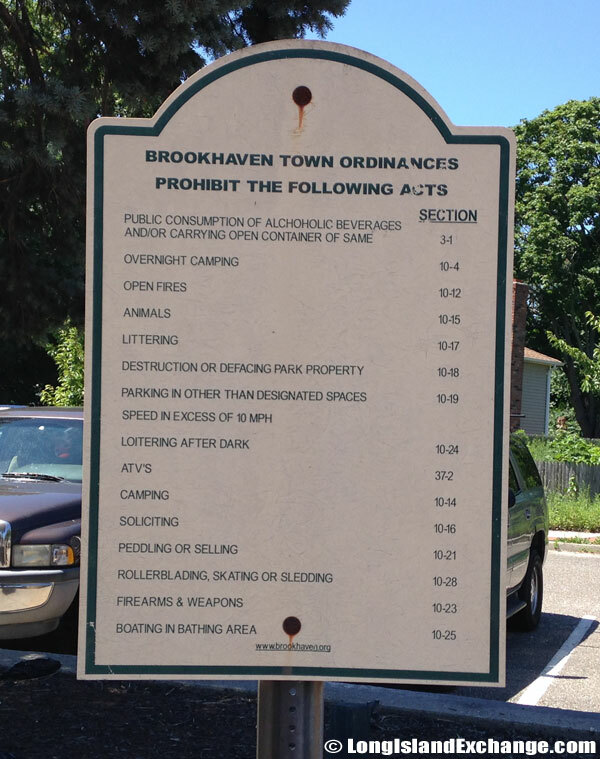 A sign lists and reminds visitors and residents of the many Brookhaven Township ordinances which must be followed throughout the area. 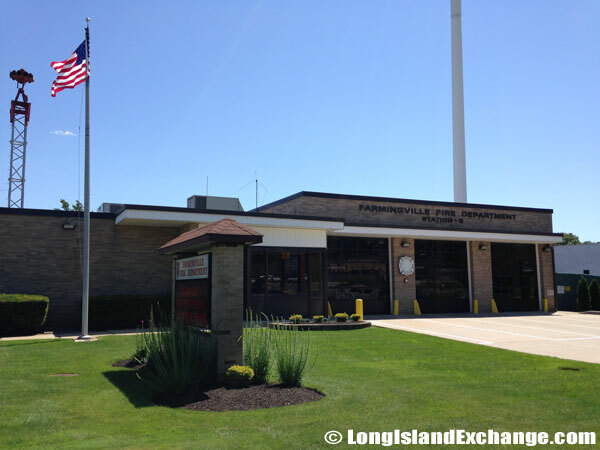 Farmingville Fire Department, a volunteer fire department that protects the hamlet of Farmingville. 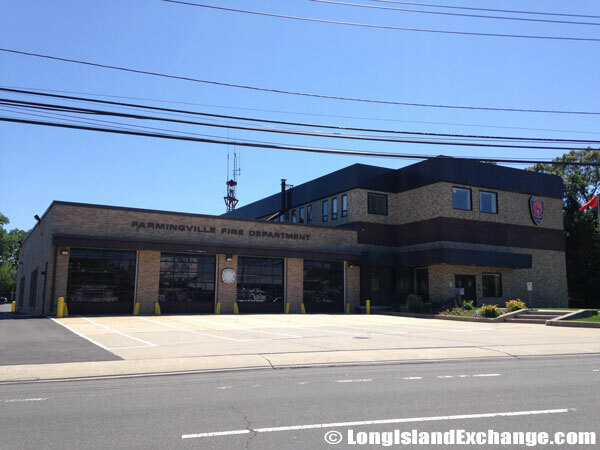 Farmingville Fire Department’s Station #2 . Hampton Inn’s, Brookhaven/Long Island hotel in Farmingville, NY, popular due to its proximity to Long Island MacArthur Airports. Its about 4 miles from the airport. 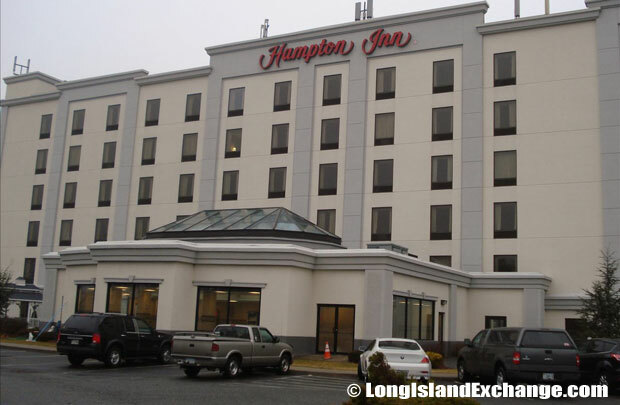 The Hampton Inn Long Island Brookhaven on North Ocean Avenue is popular due to its proximity to the MacArthur Airport. 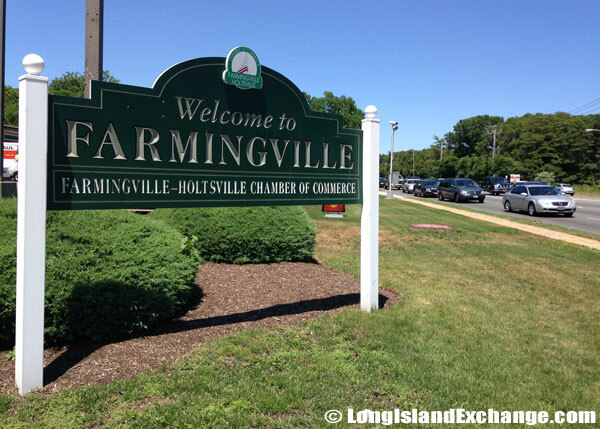 Farmingville has everything to offer with plenty of shopping centers, good restaurants, and places to stay overnight. There are over 10 family restaurants, 20 fast food restaurants, and many pizza parlors. 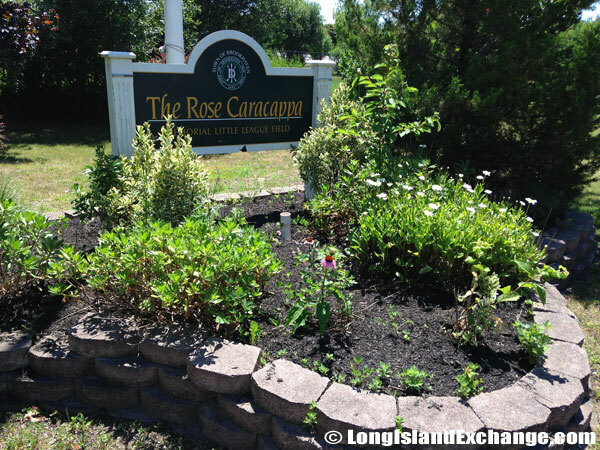 People who visit the Fire Island beach, or wish to tour Long Island’s wine country, use this hotel as a convenient base. Outdoor activities, are nearby in lakes and parks.